World Famous supplement / tonic. Use after repotting / collecting trees to encourage a fast recovery. Can also be used all year round to increase tree vigour. In original packaging - 15ml, 30ml, 60ml, 120ml, 480ml and 960ml bottle sizes. 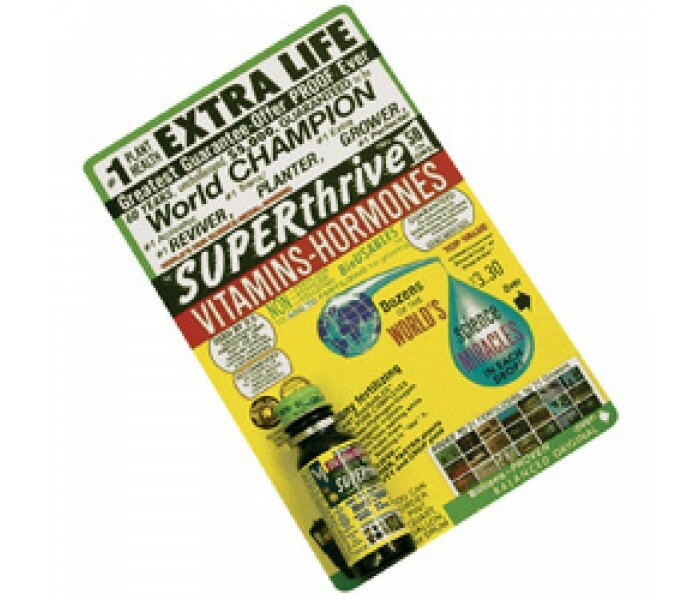 Superthrive contains a unique mix of 50% vitamins and 50% hormones. 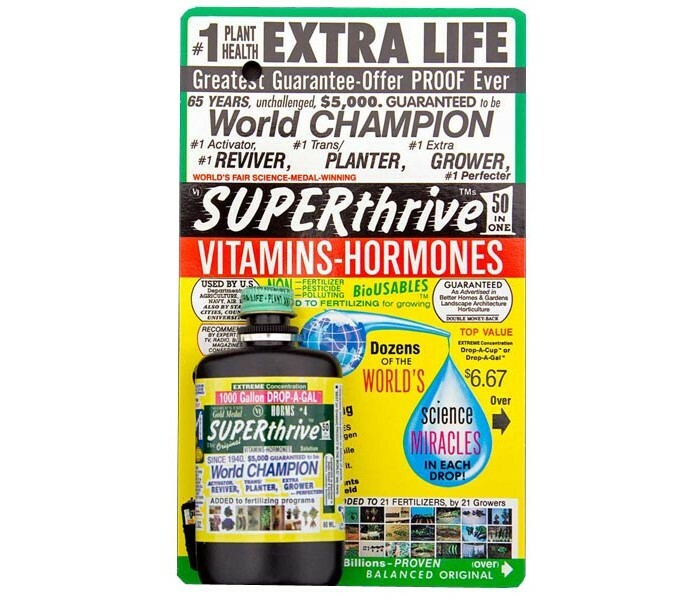 Its been a worldwide favourite plant feed supplement for many decades. 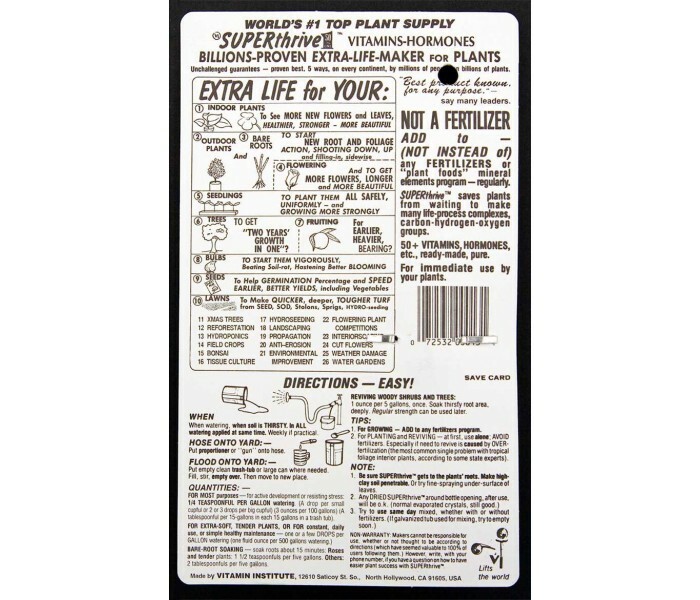 Its used as an additive / tonic and not as a replacement for standard bonsai feed. Some growers recommend using it in addition to normal fertiliser throughout the year for stronger plant growth (at a rate of 1 drop per 4 litres). Its invaluable when repotting or collecting trees, especially after major root trimming / damage. 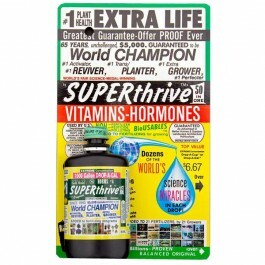 Superthrives vitamins and hormones encourage fibrous root growth, quickly. (use teaspoon per 4 litres of water and soak the newly potted tree for 15 minutes). 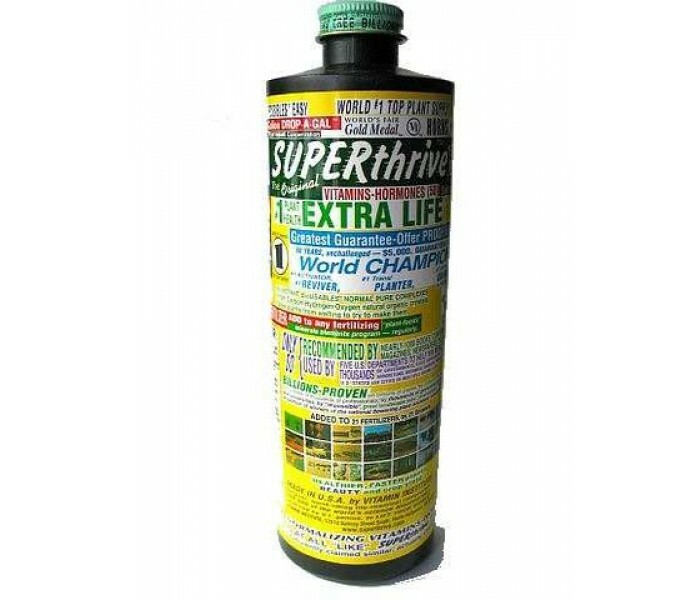 Its completely organic and is also popular for orchards, field crops, lawn care, seed germination and hydroponics. Available in 15ml, 30ml, 60ml, 120ml, 480ml and 960ml bottle sizes.